By Laura. Posted August 13, 2011 at 3:27 am. Released a part of the limited edition Night Series collection, Night Porter is a blackened green with tons of green shimmer and sparser gold shimmer. 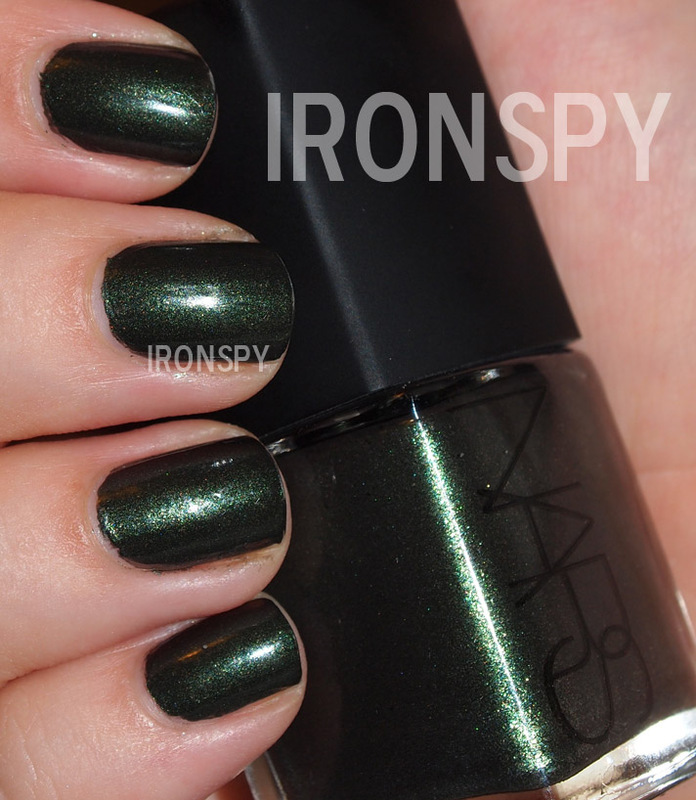 I think this one is my favorite of the four polishes, I looove blackened greens. The formula was really good, perhaps a little thick, but I got great even coverage in two coats. CLICK for full size!! Flash. Excuse the tip wear, this was after a long day of errands! Love this one! I will review the remaining two in the series shortly (see my review of Night Rider here).